Welcome to Natural Theme - the ultimate all-in-one responsive WordPress theme. Create outstanding website or blog in just few minutes! That’s Lilac Crazy pictured on the cover of the book. 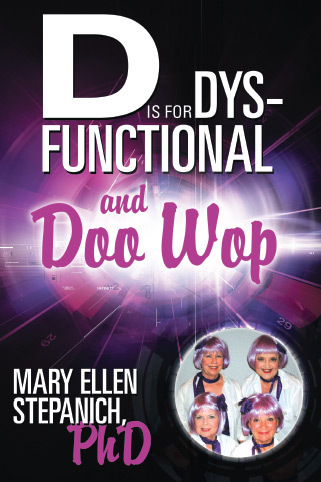 “We chose that name,” she says, “not because we’re crazy about the color lilac but because…we LIE LIKE CRAZY!” Mary Ellen and her Doo Wop quartet have been singing four-part music, barbershop style, for more than a decade and having a great time while performing their unique brand of humor and harmony for audiences throughout Arizona. In her memoir, Mary Ellen shares the story of how her young “voice” was crushed by disastrous value programming—the tacit and implicit lessons taught by parents, teachers, peers, relatives, and even the geographical and cultural environment surrounding a youngster raised in 1940s rural Indiana. As a consequence, she grew up wanting desperately for someone to listen to her. Unable to speak her own mind without fear, it was music that was the raft that kept her from drowning in a sea of insignificance. Read more about her autobiography on the Book page of this website, and be sure to add your comments about the book on the Blog page. If you have any requests for book readings or quartet performances, leave a message on Mary Ellen’s blog and you will get a response within a day or two. Don’t be shy—we want to hear from you, so sing out!